Solar panels come in two main forms – the more known photovoltaic and thermal. You can click here to learn about the differences between photovoltaic and thermal solar panels. The most important thing? We provide installation, maintenance, and repair service on both for homes and businesses! Save money and expenses with solar panels! A solar panel empowers home and businesses to manage how much they pay for electricity. Solar panels, both photovoltaic and thermal, use the natural energy of the sun and not the electric grid. Depending on your budget, choice of materials, and number of panels installed, you can save hundreds, potentially thousands of dollars a year in energy consumption costs. Residential solar panels help lower electricity bills, especially during Houston’s hot summers where you have to run the A/C all day, everyday! 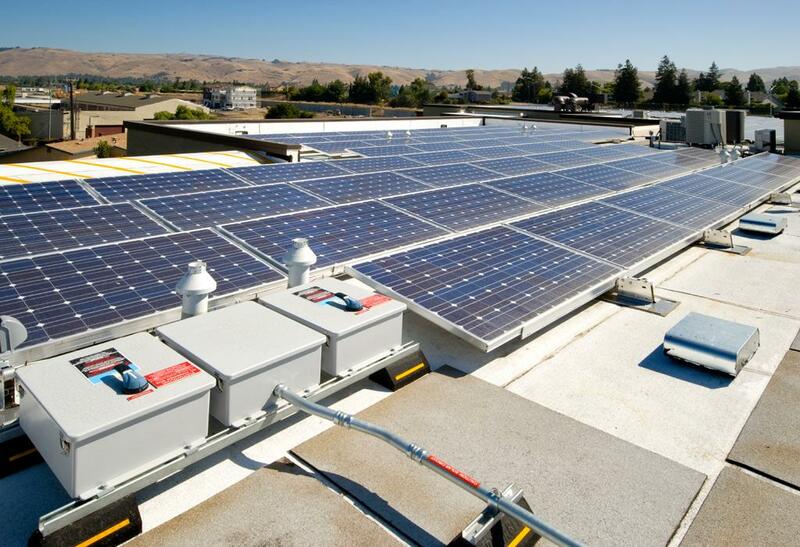 Commercial solar panels help reduce facility wide energy consumption costs, allowing you to be more productive without the cost increase. Peace of Mind Services specializes in installing, maintaining, and repairing solar panels for residences and commercial facilities across the Greater Houston area. Contact Peace of Mind Services for your Houston solar panel needs today!